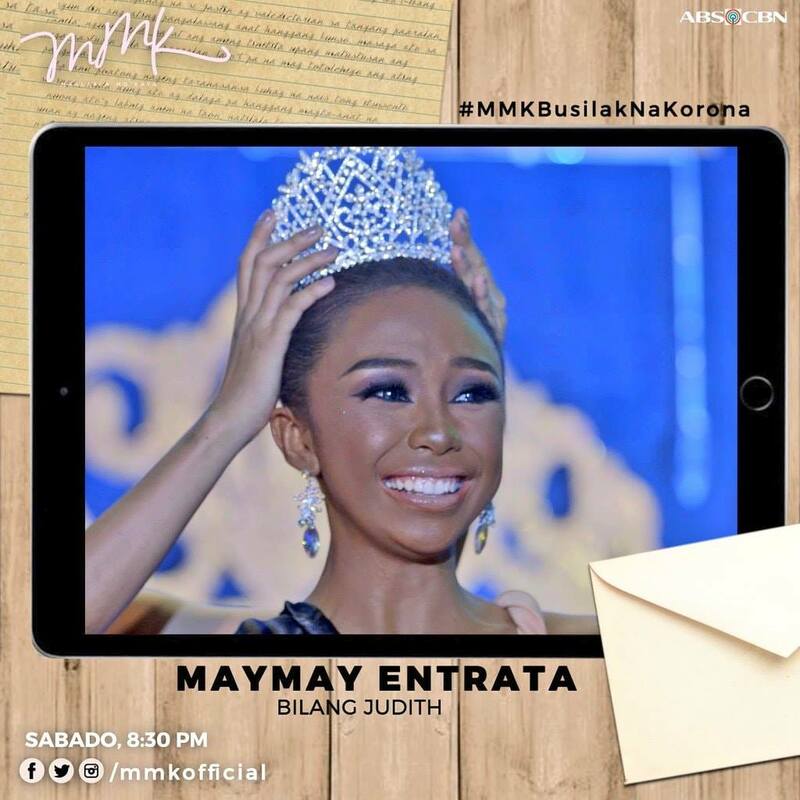 Chikkaness Avenue: MAYMAY IS A BEAUTY QUEEN WITH A BIG HEART ON "MMK"
MAYMAY IS A BEAUTY QUEEN WITH A BIG HEART ON "MMK"
Judith (Maymay) and her family suffered from discrimination all their lives. 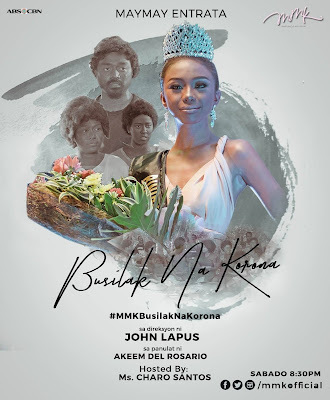 But when the opportunity to be the Aeta tribe’s representative at the “Mutya ng Biaan” came, Judith discovered a strength she never knew she had. Her parents Jocelyn (Mercedes Cabral) and Henry (Nyoy Volante), who both cannot read and write, taught her to put education above everything. Her sister April (Mara Lopez) even sacrificed her own education so they can afford to send Judith to school. 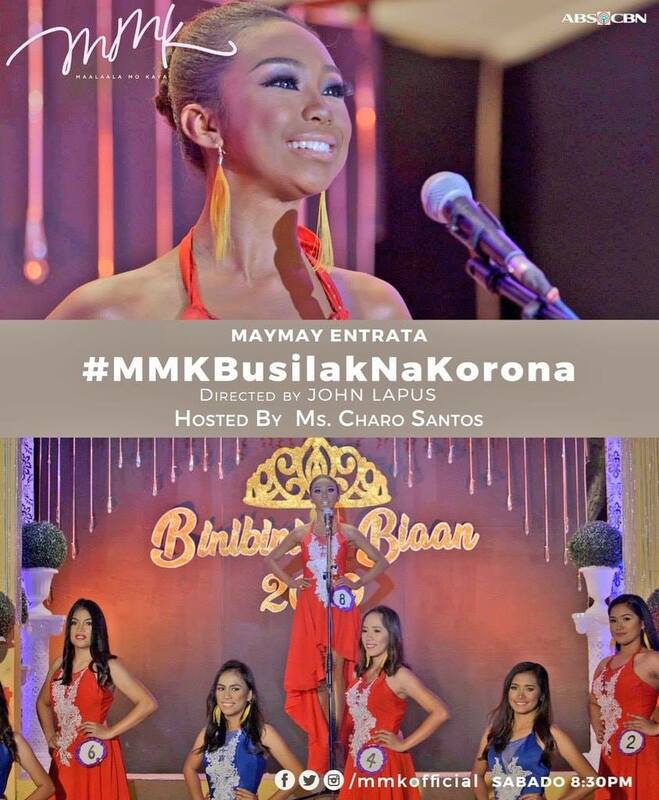 One day, April got invited to join the “Mutya ng Biaan“ pageant to represent their Aeta community for the first time. When Judith saw the acceptance and support given by other people for her sister, she felt motivated to follow in April’s footsteps. Upon Jocelyn’s advise, Judith decided to prioritize her studies and even moved to the city of Balanga, Bataan to do this. Unfortunately, she would skip school because of the discrimination she once more faced from the locals. Judith would soon find out how much sacrifice her entire family made because they had hoped so much for her future. Soon, her father became ill. Worried because her family had no means to pay for his medicine, Judith decided to stop studying and worked at a shoe factory. Judith’s life would soon change when she got invited to join the “Mutya ng Biaan.” She now saw this as an opportunity to help her family financially, help her get an education, and get the recognition she and her community needed. Defying her own mother’s wishes, Judith remained firm with her decision. Judith won the “Mutya ng Biaan,” and ranked ninth in the “Mutya ng Mariveles” 2019. She used her prize money to provide food for that her fellow Aetas never had the luxury to have. Even after being a beauty queen, Judith still plans to finish her studies. 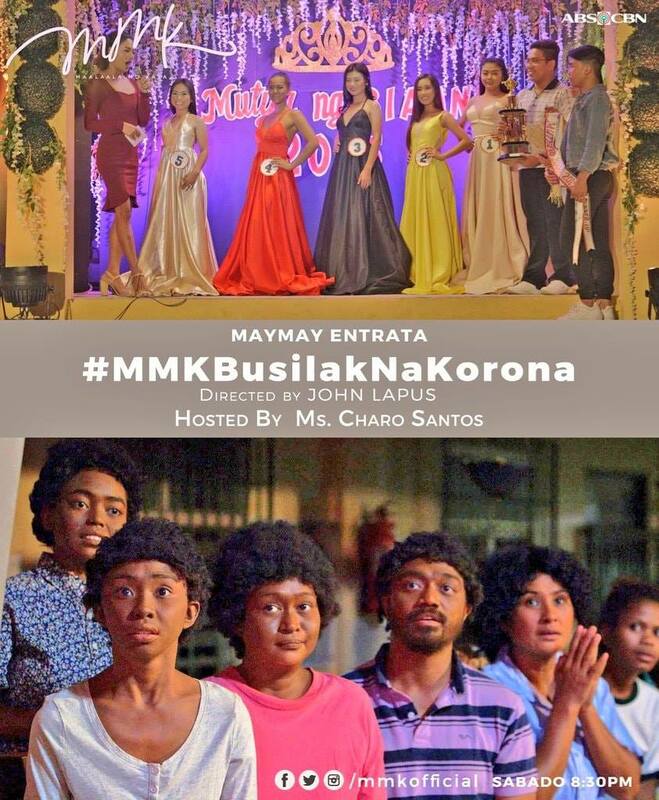 Also in this episode are Erika Clemente, Josh De Guzman, Amy Nobleza and Sue Prado. It is under the direction of John Lapus and written by Akeem del Rosario.